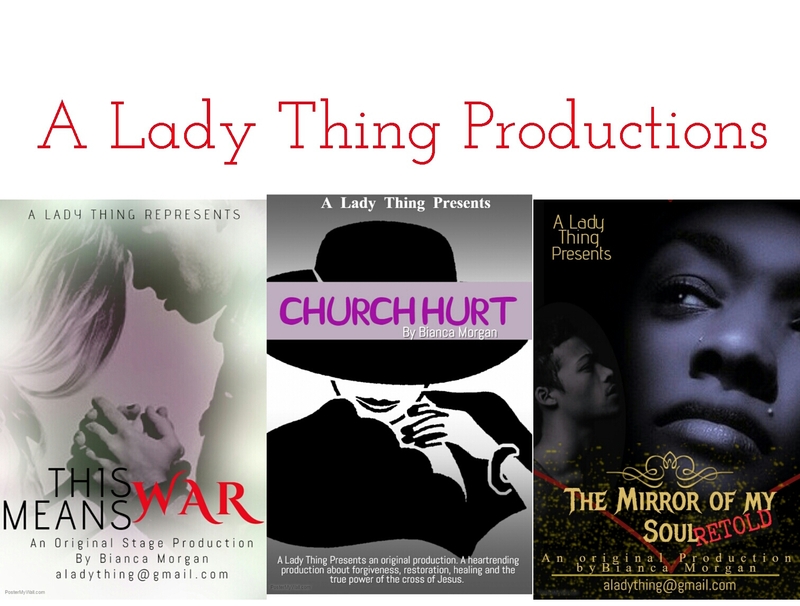 A Lady Thing Productions is back at it again. This Means War – a play about a family who finds themselves in the HEAT of adversity and temptation…the fight to save a marriage, to save a family, to save love. The Mirror of my Soul “Retold”- a spotlight production that brings light to the secret battles youths face today…the fight and struggle to be true to who you are despite the tendency of the world to paint a “perfect image”. Church Hurt: a play about brokenness, truth, healing and restoration.